Bellevue and Overlake also got coach of the year honors as the Washington State Soccer Coaches Association released its All-State teams. 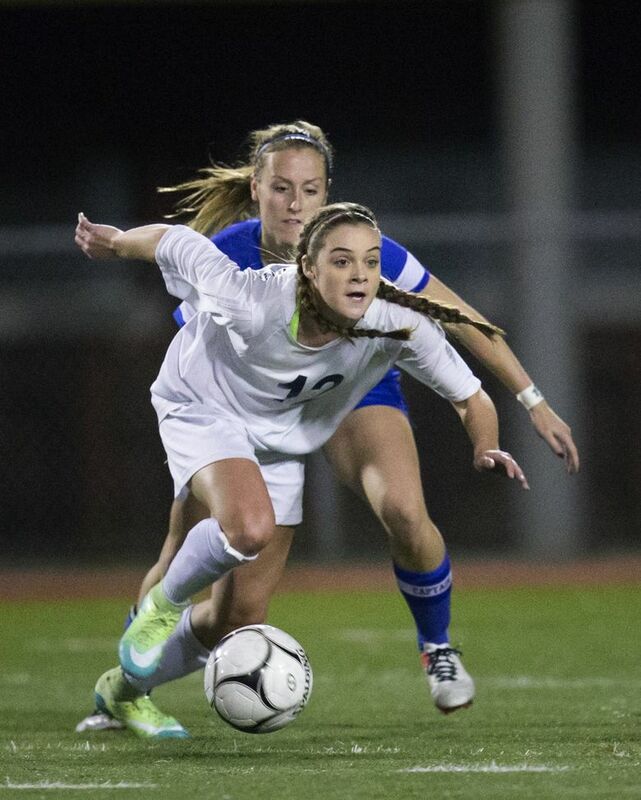 The Washington State Soccer Coaches Association released its All-State fall soccer teams Wednesday night. Bellevue’s Jojo Harber was named the Class 3A state player of the year after leading the Wolverines to its first state title. She scored the only goal in the championship game, a 1-0 win over Southridge of Kennewick. Harber was also a member of the Star Times team. Her coach, Peter Cochran, was also named Class 3A coach of the year. Overlake’s Jaquelin Nordhoff was named the Class 1A state player of the year after leading the Owls to its first state soccer title. Overlake’s coach, Sally Goodspeed, was named Class 1A coach of the year.